Vaido (Võrumaa, Estonia) on 4 July 2016 in Documentary & Street. Igasuvine Võidupüha paraad toimus 2016. aastal Võrus. Parasjagu lendab paraadi koosseisus üle Vabaduse tänava strateegiline pommitaja B-52. 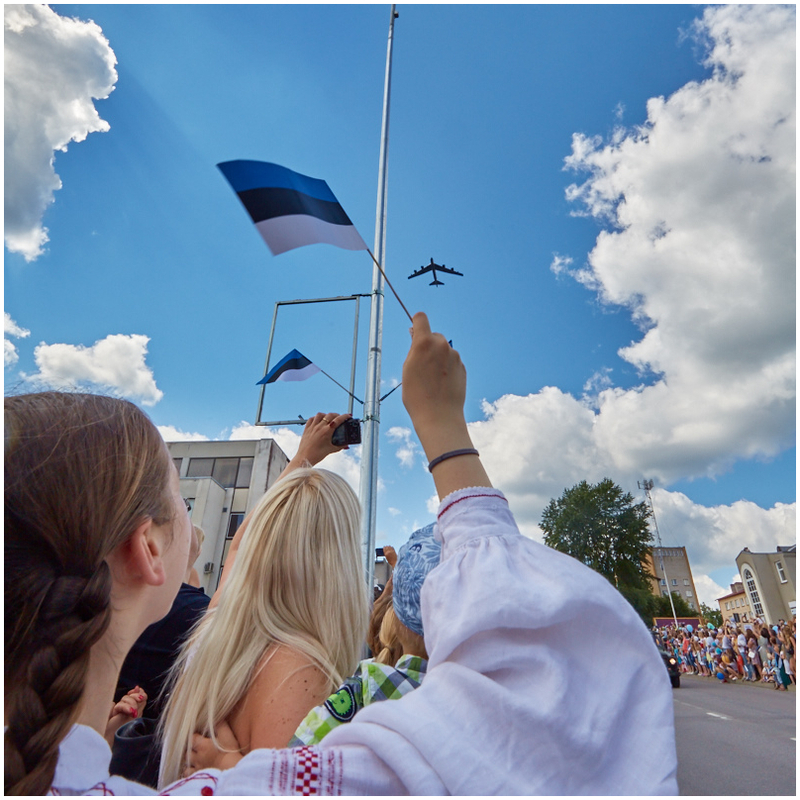 Every summer in June Estonia celebrates the Day of Victory in the Liberation war of the Estonian people 1918-1920 with a military parade. This year the parade was held in my hometown Võru. On the photo, as a part of the parade, strategic bomber B-52 is flying over Vabaduse (Freedom) Street, greeted by local children. A beautiful shot of the street and kids. Those B-52s are quite old now but still look quite dangerous.